1) The price for the remaining supply of pink diamonds in the world will go up significantly. 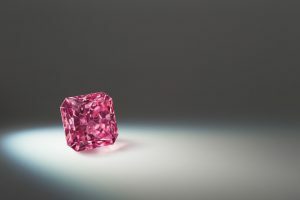 2) The resale value of argyle pink diamonds should shoot up, due to rarity. Before we go further into this analysis, let’s review for a minute the 2018 tender which was just sold almost two weeks ago. The buyer has to agree to be revealed to the public, otherwise his/her name remains anonymous. From a quick glance on the full list of the tender this year, we can see several things that pop out. It is the first time since 2013 that the tender has a diamond offered which weighs more than 3 carats. The “Argyle Muse”, as it is called, is the 2.28 carat, Oval shape, Fancy Purplish Red with an SI1 clarity (as certified by the GIA). 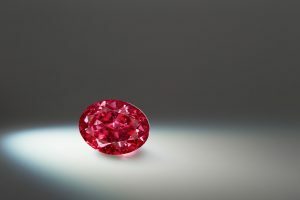 It is the largest and only Fancy Purplish red diamond over 2 carats ever to be offered at a Tender. 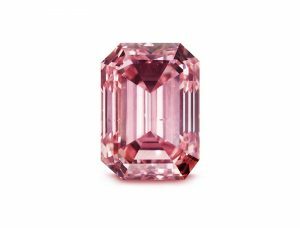 The 3.14 carat, Emerald Shape, Fancy Vivid Purplish Pink, with an SI1 clarity (as it is graded by the GIA) named Argyle Alpha, is the largest of its kind ever offered in a Tender (according to Rio Tinto). The 1.29 carat, Square Radiant, Fancy Vivid Purplish Pink with an SI2 clarity is tender #3 this year. It has been named “Argyle Maestro”. Tender #4 is the 1.57 carat, Princess cut, Fancy Dark Gray-Violet with an SI2 clarity. It was named “Argyle Alchemy”. This beautiful diamond is also the largest Fancy dark Gray-Violet ever to be offered at Tender. #5 Hero is the 2.08 carat, round brilliant, Fancy intense Pink with an SI1 clarity. It was named “Argyle Odyssey”. It is the largest round Fancy Intense pink this year. In fact, it is the largest Round Fancy Intense Pink diamond at tender for the last 3 years as well. In general this Tender has the same characteristics as tenders from previous ones going back to 2013 when the mine went underground. Since 2013, the average total weight of the tender has been 50.85 carats. This year it was 51.48 carats. Since 2013, the average size of a tender diamond was 0.83 carats. 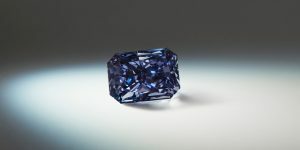 This year it was 0.82 carats. Since the mine went underground in 2013, the amount of pure red diamonds have increased compared to previous years, and has been steady between three and four diamonds. 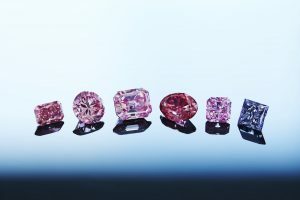 This year, the tender includes five pure red diamonds. We also have two purplish red diamonds offered, one of which is the largest in the tender history. Last year there were four such (purplish red) diamonds. In the previous 4 tenders there were one, two, or none offered. 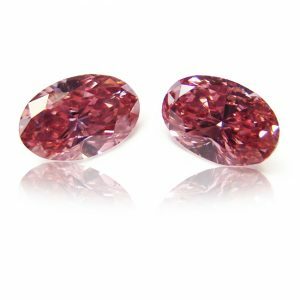 This year, there are no Fancy Pink diamonds offered in the tender, only Fancy Intense, Fancy Vivid, and Fancy Deep pink diamonds. 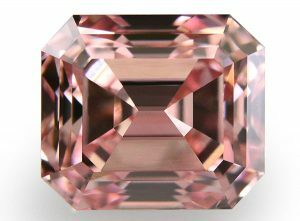 There are 53 pink diamonds in the tender this year, half of them (27) are Fancy Intense pink. The average in the last 6 years (since the mine went under), the average was 30 per year (29.8 to be exact). The high was 39 back in 2013 and the low was 19, last year. This year we have 18 diamonds graded as Fancy Vivid Pink by the GIA. The average in the last 6 years was 13 (13.3 to be exact). The lowest was 8 in 2013 and the high was 23 in 2016. 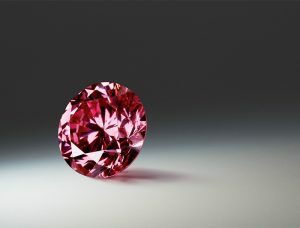 Fancy Deep Pink diamonds are quite unique in their nature and their potential. They have 3 possibilities of derivatives. If re-polished properly (which means that the facets are re-polished and angles are changed. By doing so, you allow more or less light come in, which affects the depth of color). 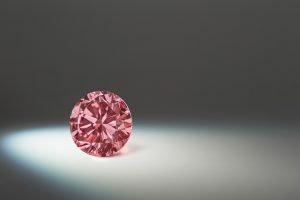 The re-polished result may turn a Fancy Deep Pink diamond into a Fancy Vivid Pink Diamond, which some claim does not really increase the value yet others claim it does. The other outcome, which is more interesting, is the upgrade in color to a red diamond (based on depth of color created, it becomes more saturated). In this case the value will increase significantly. This year there are 8 such unique diamonds. The average in the last 6 years is 9 (8.83 to be exact). The lowest was 1 in 2014, while the highest was 16 last year. The Argyle mine is known to produce violet and some blue diamonds in extremely small quantities. 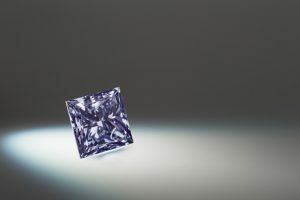 This year there are three such dimaonds, of which one is considered a “Hero” Diamond, tender #4, “The Argyle Alchemy”, a 1.57 carat, Fancy Dark Gray-Violet” with an SI2 clarity. The other 2 are tender #7, a 0.43 carat dark gray-violet and Tender #8, a 0.48 carat, Fancy greyish Violet. In the last 6 years we have had a single Internally Flawless diamond offered. It was back in 2016, and was awarded to leibish & Co. in Israel. There were 3 diamonds graded in the VVS category. The average in the last 6 years was 3, so there is consistency. The highest was 7 in 2016 and 1 in 2013. There were 11 diamonds graded in the VS clarity this year. The average in the last 6 years was 14 (14.16 to be exact). The highest was 27 in 2016 and only 5 in 2014. The majority of diamonds are graded in the SI clarity. This year there are 30 diamonds with such a grade, which is the highest and equal in quantity as last year. The lowest at 18 was in 2016. The average in the last 6 years was 27 (27.16 to be exact). This year there were 19 diamonds graded in the I clarity. The lowest is 10, back in 2016 and the highest was 23 in 2013. The average in the last 6 years was 17 (16.66 to be exact). 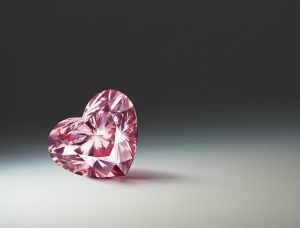 The 0.71 carat, Fancy Intense Pink Diamond Image credit: Leibish & Co. There is always excitement about larger than life Argyle diamonds at the yearly Tender, and this year is no different. We have the largest Fancy Purplish Red Diamond offered this year, as well as the largest Fancy Vivid Pink Diamond as well, both being “Hero” diamonds. Eleven diamonds are above the carat size, compared to the average of 15 (15.16 to be exact) per year for the last 6 years. The most offered over a carat during the last 6 years was in 2016 when 21 diamonds were over 1 carat size. In 2015 it was the lowest with only 9 diamonds. My critical analysis was always the 0.75 carat weight. I always looked at how many are offered over this point and below. This year we have 26 diamonds over 0.75 carat weight which represents 41%, and 37 below this weight which represent 59%. The average quantity over 0.75 carats in the past 6 years was 27 (27.16 to be exact). This year, the average weight is 0.82 carat compared to the yearly average of 0.83 for the past 6 years. The highest average weight was 0.92 in 2016 and the lowest was 0.68, the previous year in 2015, which also happens to be the year that had the most diamonds offered in the past year at 65. The average was 61 (61.16 to be exact) during the last 6 years. The lowest being 54 back in 2014. The last bidding date was October 10. By the 12th the winners were announced privately, and I assume that Rio Tinto will make a formal announcement in due time, once all financial matters are settled and the winners agree to be named (for those that agree). 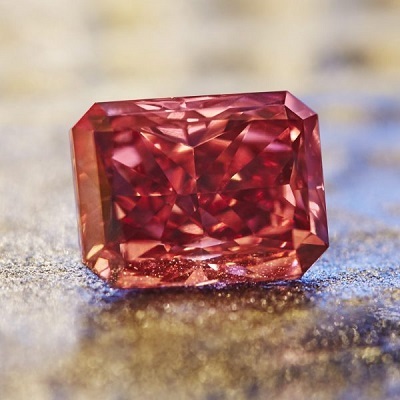 From anonymous sources, the winner of the 2.28 carat Fancy Purplish Red diamond is an entity in Europe (I am not in a position to disclose if it was a dealer or an investment entity). The price paid is also the highest ever paid for a single diamond from the Argyle mine, both in total value as well as the price paid per carat for such a diamond. Overall, the average price paid for an argyle tender diamond has continuously and steadily increased over the years. Detailed information has always been kept private by Rio Tinto, and information has always come from inside the trade industry. As only 2 or perhaps 3 tenders are left as of now, we believe that prices will continue to rise due to rarity. We may see a few years of drought, meaning no major argyle diamonds will appear from the secondary market, but eventually we will see many come to market when prices continue to increase due to higher and constant demand while supply continues to dry up.